Alright, here’s the deal. Quilts can be made in a zillion different ways. Usually though, quilt tops consist of the same basic pieces: either pieced blocks, applique blocks, or a combination of both. 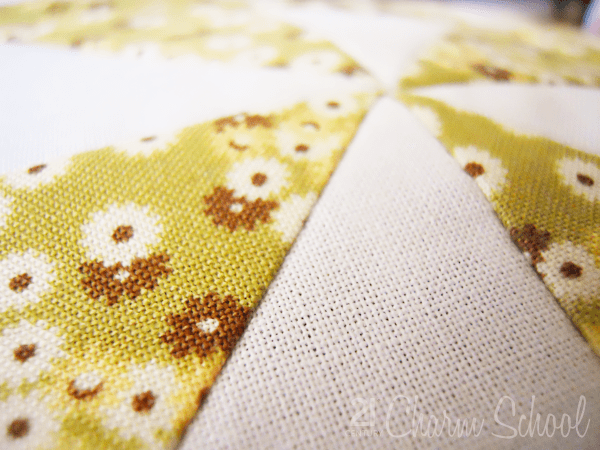 Blocks are just a term used for the (usually) square piece of either pieced or appliqued fabric. You put lots of fabric blocks together, they make a quilt top. 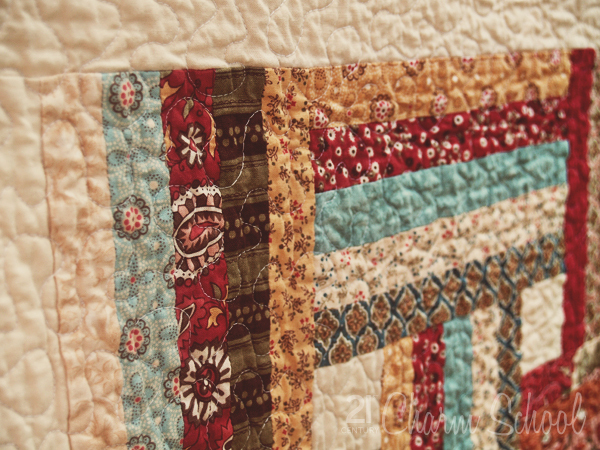 Here’s the lowdown on the difference between pieced and applique blocks. Pieced: A quilt top made from smaller pieces of fabric. Blocks generally consist of several smaller pieces. Blocks can be arranged in many different ways to make an interesting pattern. However, there are other ways to make pieced quilt tops, including using strips, and using random “crazy” blocks. Applique: An applique quilt is also made of blocks, but the pattern on the blocks is made by pieces of fabric sewn to the top. The pieces can be attached by small, hand-sewn stitches, or by machine stitching. So there’s the lesson of the day, chickadees. Questions? How can I stop hating applique? Maybe I need a new sewing machine and that will fix the problem! 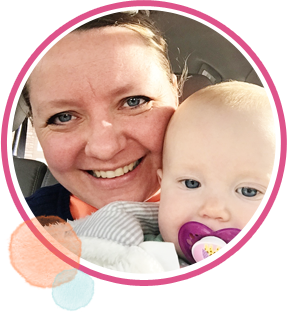 There are a couple of pretty great tricks that make it a heck of a lot easier, I have to say. Don’t worry, I’ll throw a few out there for you…soon! 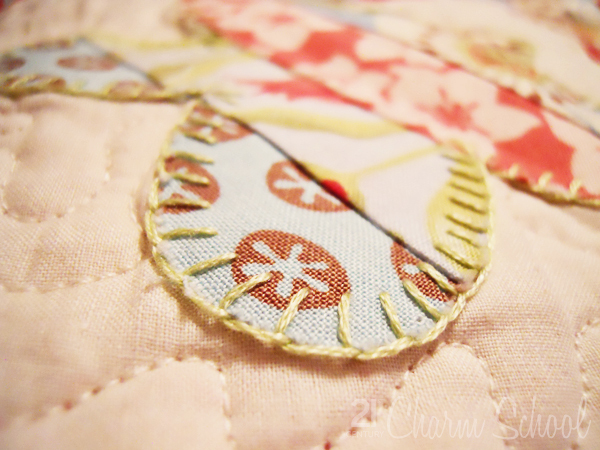 Does it matter if you appliqué after the quilt is quilted?